Naval Combat is the classic guessing game Battleships for iPhone and iPod touch. 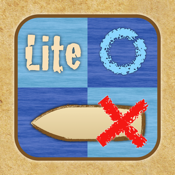 This is the lite edition of Naval Combat in which you compete against the computer at three levels of difficulty. The full version is ad-free and allows you to play against other players.